This was a bit of an unexpected stop which is what I love about touring in a car, its these types of things that you tend miss if you were taking a train or plane. Leaving Washington DC, we started to head towards our next stop Charleston but of course, we needed to stop off for breakfast/lunch. 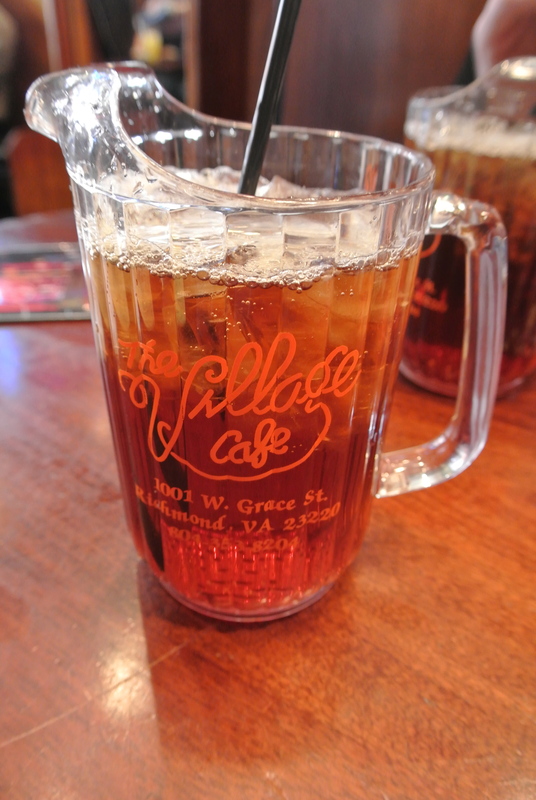 Since we were driving through Richmond, Virginia, we decided to stop off at the Village Cafe thanks to Guy Fieri’s visit that aired on an episode of Diners, Drive-ins and Dives. Located right in the middle of Virginia Commonwealth University, the cafe was lively with a great casual vibe. 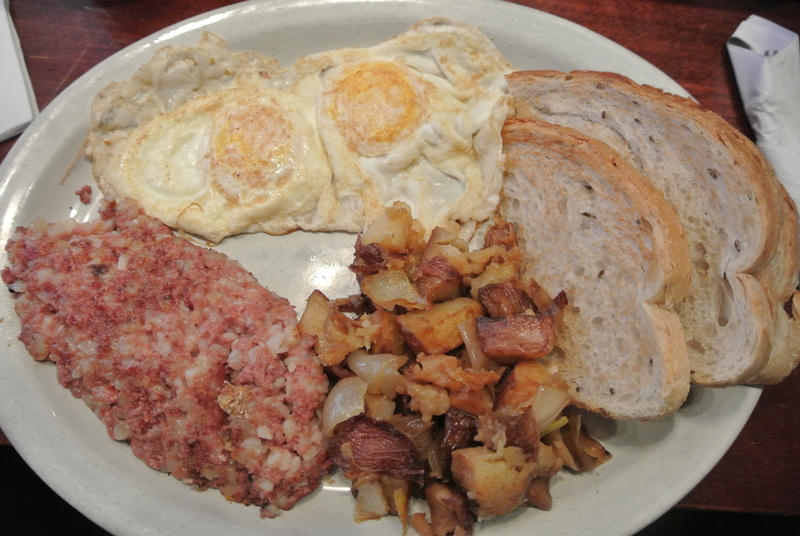 It serves all the classic breakfast staples, I ordered the corned beef hash that came with 2 eggs, toast and potatoes. I was expecting a chunkier hash, not one that was so “creamed” but despite how it looks, it tasted good. My friend S ordered fried apples with her meal which in essence was stewed apples and cinnamon. It was a perfect place to have breakfast and if you’re in Richmond and in need of a bite, the Village Cafe is a great spot. 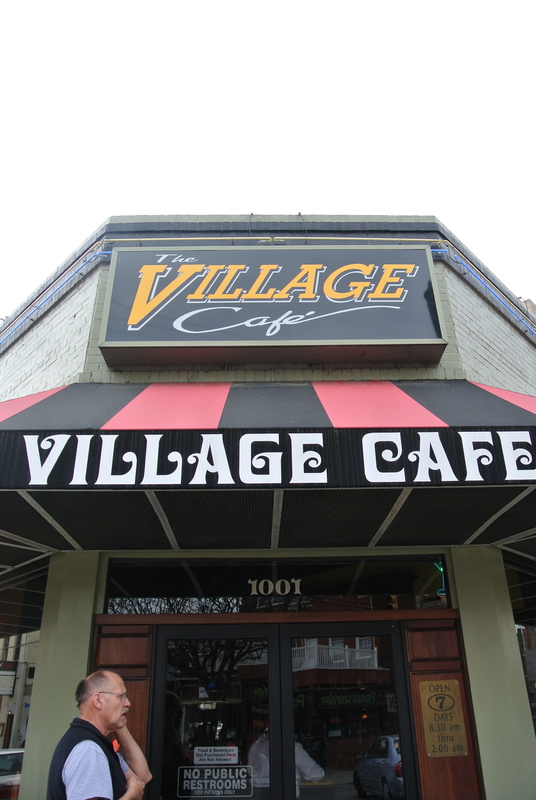 The Village Cafe in Richmond, Virginia. 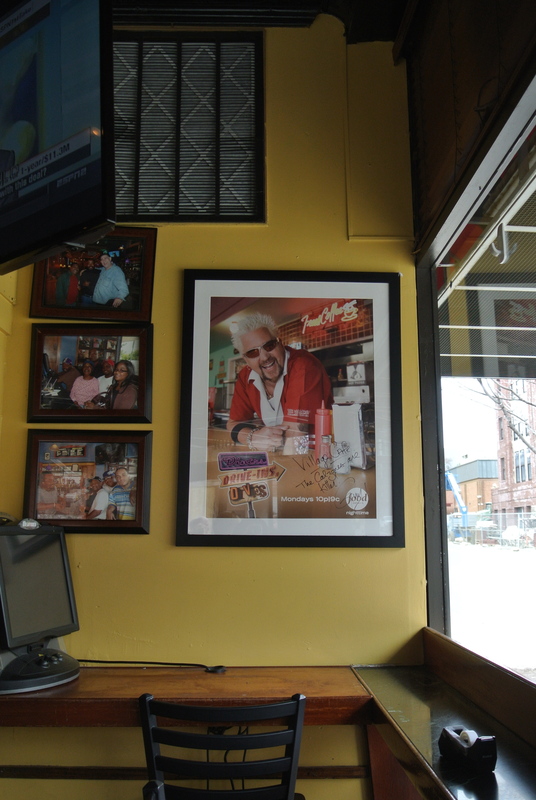 Wall of fame inside the Village Cafe – that is, Guy Fieri. 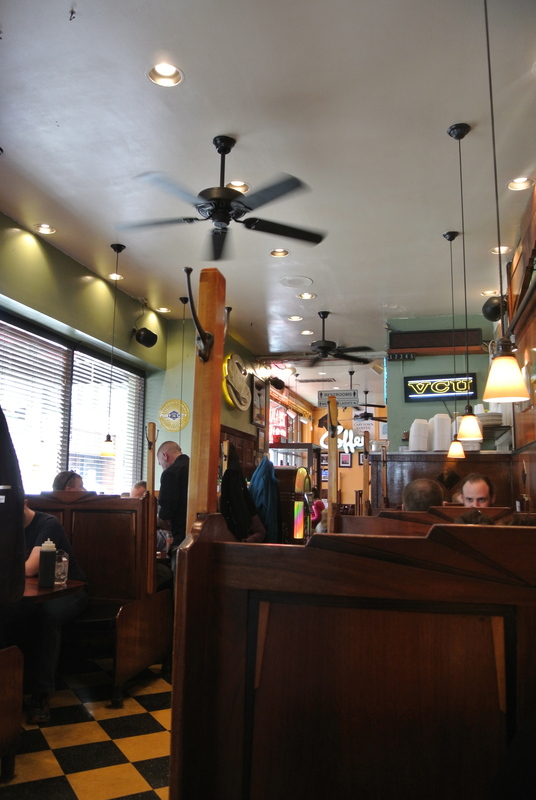 The interior of the local favourite, the Village Cafe. You know you’re in the US when a glass of unsweetened iced tea comes in a mini pitcher. My order, corned beef hash with 2 eggs overeasy, rye toast and hash browns. 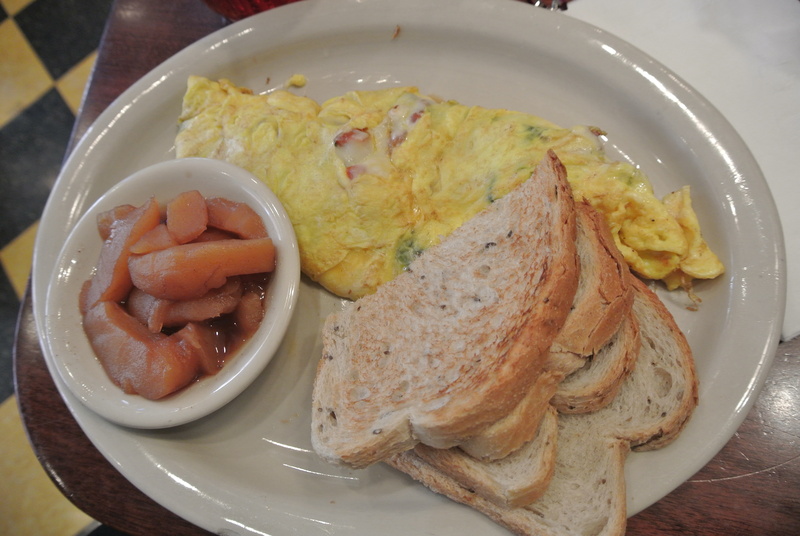 The Lorraine omelette made with spinach, bacon, tomatoes and swiss cheese with a side or rye toast and fried apples. 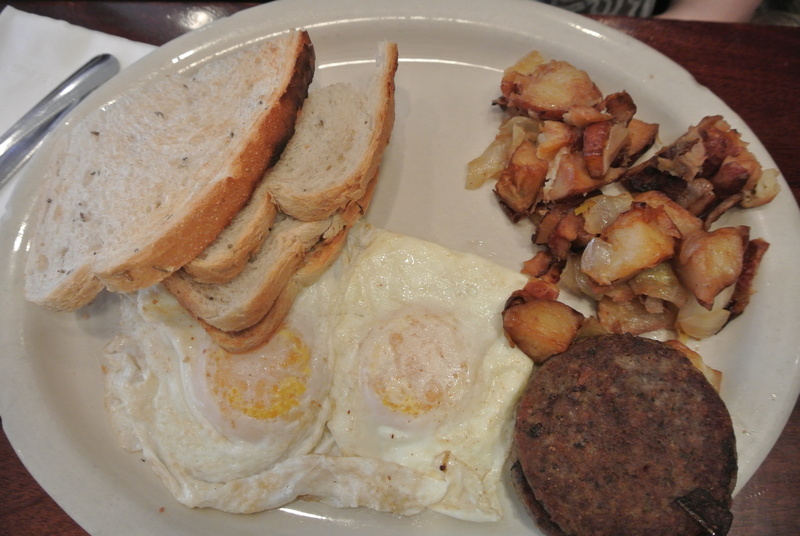 The classic Village Breakfast Special, 2 eggs overeasy, sausage patties, rye toast and hash browns.